Competition law encompasses a range of legislation aimed at restricting unfair commercial practices and fostering a healthy competitive business environment. It includes anti-trust legislation, legislation on unfair competition, as well as specialised legislation such as the German Telemedia Act, the German Pharmaceuticals Act, the German Price Quotation Act and the German Fixed Book Price Act. Competition law lays out general rules which aim to protect commercial products and services. Businesses, competitors, consumers and other market actors are protected from unfair practices and fair competition is facilitated. Under competition law businesses are largely free to pursue infringements of their rights. The law firm WILDE BEUGE SOLMECKE has extensive experience in advising businesses in all areas of competition law and has also specialised in online infringements. We will be happy to advise you on how to make your business compliant with competition regulations and how you can enforce your rights against competitors who operate unfairly. Would you like to receive general advice on competition law? Have you received a warning letter for having infringed competition regulation? 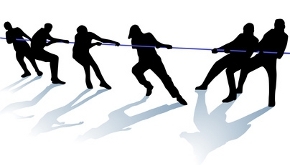 Are your rights being infringed by the unfair practices of a competitor? We are here to help you! German lawyer Christian Solmecke and his expert team are available to answer your questions. Call us for an initial free consultation on +49 (0) 221 / 951 563 0. Der Youtube-Converter – eine legale Angelegenheit? Rechtsfall des Tages: Allgemeine Verkehrskontrolle – Was darf die Polizei?